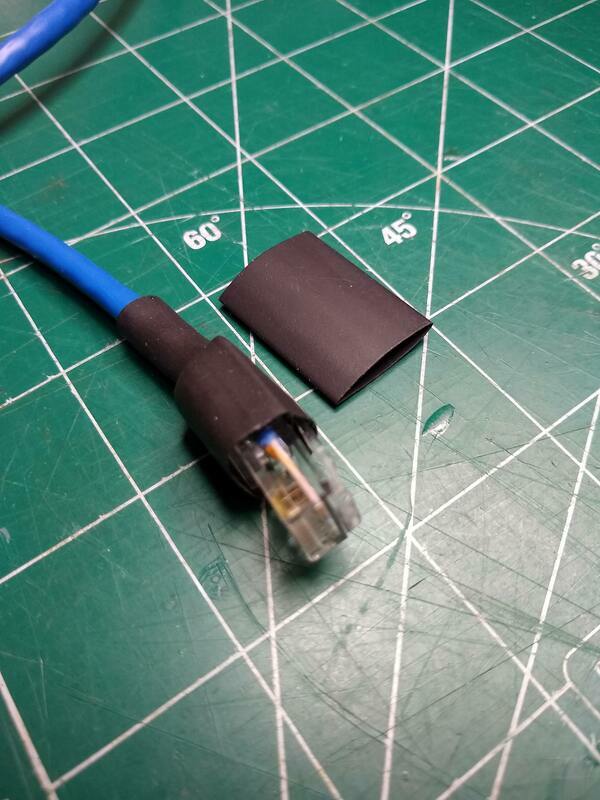 2019-03-26a Here is perhaps a better solution to the RJ45 broken tab using shrink wrap tubing. 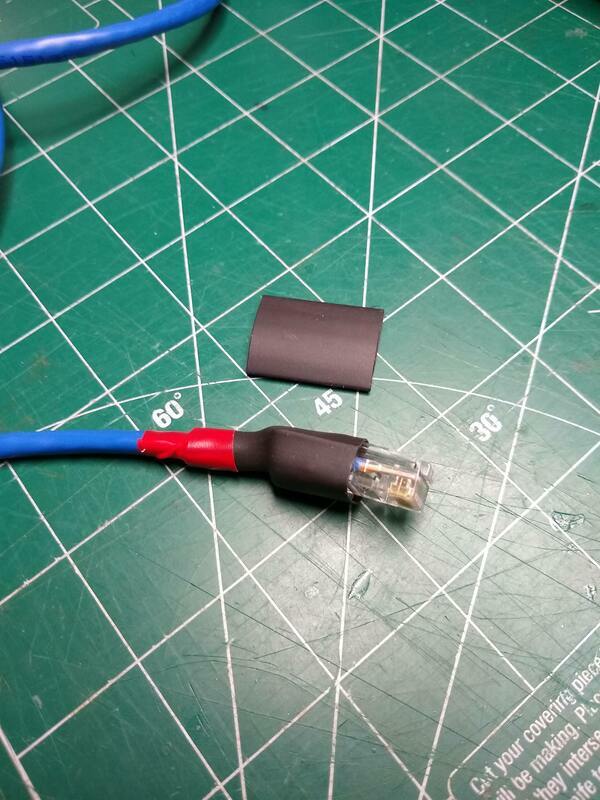 Cut a piece of about an inch long and slip it over the connector with just bit, maybe 1/16 to 1/8 inch hanging over the tale of the little tab. Use tubing small enough that it slips tightly over the connector. Then heat and shrink just the 1/ to 3/4 inch of the tubing that protrudes behind the connector being careful NOT to shrink the part over the tale of the tab. Finally, since the tubing will probably not shrink fully and tightly around the cable itself, wrap a bit of electrical tape around it to keep it in place. I haven't used it "in the field" but it seems to me that it will protect that tab from snagging in the bag but still allow easy plugging and unplugging from the radio. 2019-03-26 A couple days ago I broke the little tab off the connector on one end of my x5105 mic cord. So I contacted MFJ to see if I could buy a new cord. They wouldn't sell me one. Rather, they are sending a replacement since my radio is still under warranty! Thanks, MFJ!I have a suggestion for Ziegu. It is that they use a cable with a tab protector on one if of the mic cable. When taking the radio out portable the cord is inevitably going to get "jerked" around in packing and unpacking. Those little exposed tabs are very fragile and if one breaks, the cable is rendered useless. And I know of no after market cover for those. 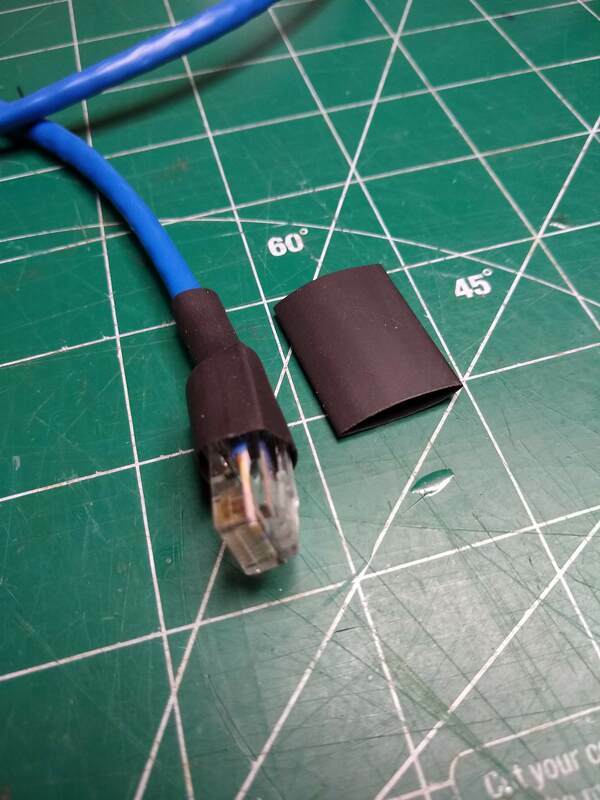 I cut the end off my cord and off another Ethernet wire with a cover and patched the two together as shown in the photo. It is a tedious process and a fragile result but got me back on the air. Replacement connector patched onto my x5105 mic cord after the little plastic tab broke off the exposed end of the original.